Super friendly atmosphere that makes you feel welcomed from the get go. 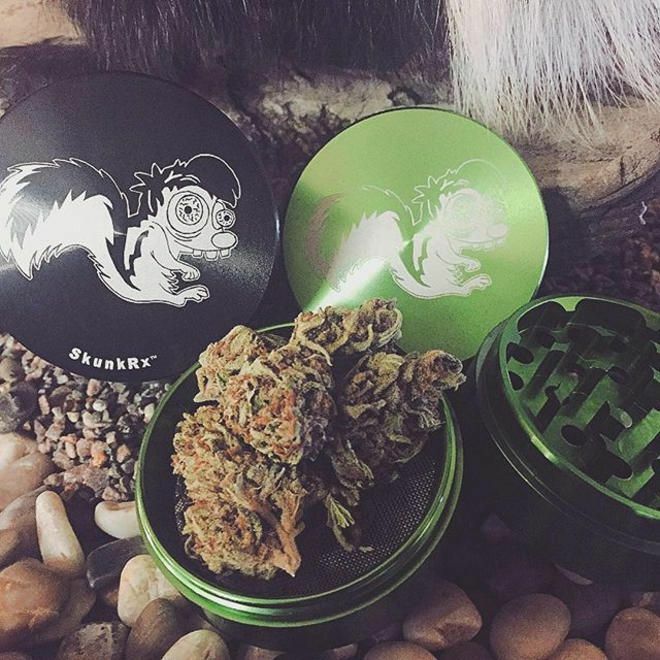 The wide inventory and strains are high quality and at a convenient price. Would highly recommend. Thank you so much! We are happy to hear you had an awesome experience. See you next time! I really like this place; right across the river from me! thanks keep up the good work. The staff always makes me feel welcome. Its a very nice laid back environment and the staff always has really good recommendations when you don't know what you want. We are happy you always have a good experience! Thank you for the review! Nice mellow folks, always a smile when I walk through the door. They were decent enough to replace my battery with a better one when it went belly-up. Competitive cartridge pricing, industry discounts. This is my go-to place! Thank you for the review, and for making us your go-to place! We are so happy to have you! Drove from GP, looking for a new dispensary to replace our previous favorite. Well worth the extra drive time! From the very friendly lady in the front, to the all around fabulousness in the back, we were happy customers. Great selection, and great prices. I appreciate a the wide price range. Some days I can afford a pricier, premium product, but if you are like me, there are many days where you can only afford the bargain gram, and they really had a great range of products and prices. Thank you, we will be back!!! We are happy to hear you had an awesome experience! We love to hear the feedback, and hope to see you again soon! My visit is always wonderful. The staff is very knowledgeable. I have MS and when I walk in trembling they know exactly what I need. And when I walk in with pain they know exactly what I need. And when I am stressed out they know what I need. And then again I am out and about with my daughter and grandsons and I need something mellow and they know exactly what I need. And I have also tried new things which work great for me. Thank you God for cannabis. I have stopped completely 13 meds from Big Pharma and switched over 2 smoking vape and flower. God what a difference. These people are my friends they will not steer you wrong you are in good hands!! Thank you for the review! We are so happy we have been able to help you in such positive ways!! Big congrats on the transition from Big Pharma to cannabis, awesome! This dispensary has some top notch product but the service is awful.. They definitely give off a too good for you vibe and treat you like you’re stupid for asking questions. The product is not worth the attitude, will not be returning. We appreciate your feedback. Customer service is one of our top priorities and we strive to make every customers experience superb. We usually receive high praise for our service. We apologize this wasn't the case for you, and hope you will give us another shot in the future. Great people selling top shelf bud! The place is my #1 choice for local dispensaries.I stopped in yesterday looking for primo flower suggestions. The current selection was nearly all indoor,prepare to be impressed. I was NOT disappointed when I think I went Pistil Point. Ol'personal fav GG#4 was very proper and to my liking.But what was really the bees knees was the strawberry/banana he suggested. Kudos to you bro! I'm very much impressed and that ain't easy to do! We are so very happy you were satisfied with your visit! Thank you, and we hope to see you again soon! !